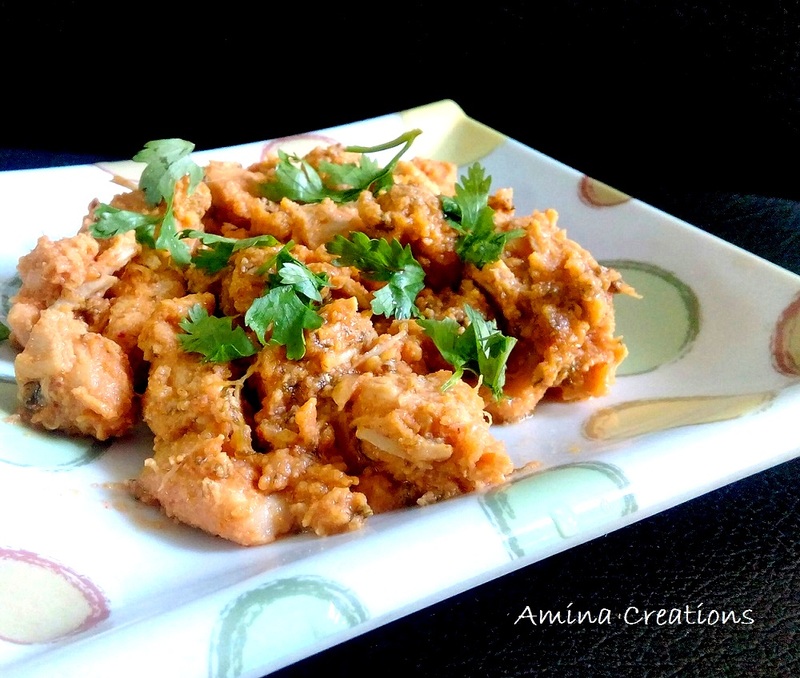 Chicken kabab masala or chicken masala fry is one of my favourite chicken sidedishes. I have been relishing this delicacy since childhood as my mother is an expert in making this dish. Spicy chicken kabab masala tastes great when served with plain rice and toor dal curry. Take a pressure cooker and add all the above ingredients along with 1 and ½ or 2 cups of water. Pressure cook for 10 minutes or 2 whistles. Allow the steam to come out and open the lid of the cooker. Heat ½ cup oil in a pan, and add the cooked chicken mixture to this. Keep stirring for about 5 to 10 minutes till all the water has evaporated and the chicken pieces have mixed well with the oil and the masalas. 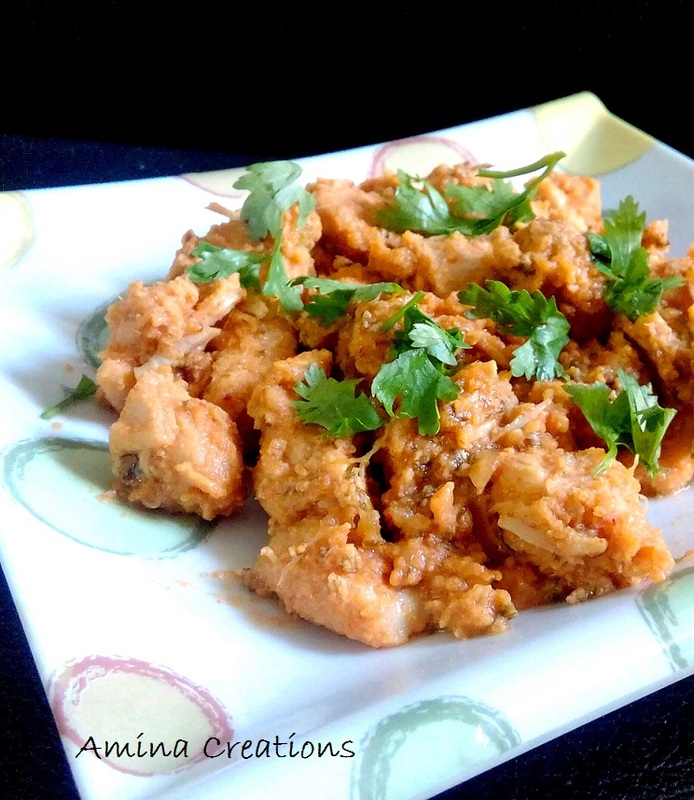 Garnish with coriander leaves and serve hot with rice and dal.